State Sen. Vincent Hughes, D-Philadelphia, requested investigations into possible discrimination in mortgage lending. Pennsylvania’s state treasurer and attorney general announced separate investigations into pervasive redlining in mortgage lending in Philadelphia this week. At the same time, the Philadelphia City Council passed a resolution calling for hearings into the practice, amid continued fallout from an investigation by Reveal from The Center for Investigative Reporting. Reveal analyzed millions of mortgage records and found 61 metros across the country where people of color were significantly more likely to be denied a conventional home purchase loan, even after taking into account how much money an applicant made, the size of the loan they were trying to get and the neighborhood where they wanted to buy. We focused our story on Philadelphia, one of the largest cities in the country with this disparity. The analysis found African Americans were 2.7 times as likely to be denied a conventional mortgage there. Although black and white residents make up similar proportions of the area’s population, white applicants received 10 times as many conventional mortgage loans in 2015 and 2016. A detailed market share analysis and data app that accompanied our report showed each of those three lenders turned away African Americans at a much higher rate than their white counterparts in Philadelphia in 2015 and 2016. Wells Fargo denied 27 percent of conventional home purchase applications from African Americans and 9 percent from whites applicants. Santander denied 37 percent of black applicants and 13 percent of white ones. PNC denied 44 percent of black applicants and 15 percent of whites applicants. Torsella said he would be asking each bank to provide detailed information about their lending practices – including “copies and policies associated with underwriting criteria” used to grant and deny loans. Reveal reached out to each of the banks singled out by Torsella. Wells Fargo spokesman Tom Goyda said the bank had “announced significant initiatives to expand homeownership among African American and Hispanic households” over the last two years. “We will reach out to the state treasurer regarding his concerns and provide what information we can to help him understand the depth of our commitments to the homeownership and financial needs of our customers in Pennsylvania and across the nation,” he said. Zappas also criticized our analysis for not including borrowers’ credit history or overall debt-to-income ratio – two factors which banks have so far kept secret despite a 2010 law mandating they be disclosed. Industry trade groups, including the American Bankers Association and Mortgage Bankers Association, have disputed Reveal’s conclusions on similar grounds. 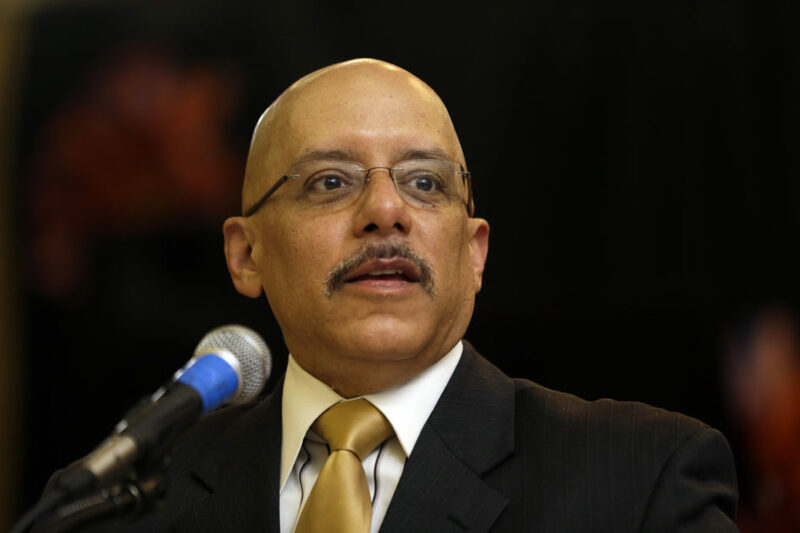 The investigations by Pennsylvania’s attorney general and treasurer were sparked by a request from state Sen. Vincent Hughes, the top Democrat on the appropriations committee. Meantime, at Philadelphia City Hall, the City Council unanimously passed a resolution by Kenyatta Johnson, who represents the rapidly gentrifying Point Breeze neighborhood, to hold oversight hearings into Reveal’s findings. Wells Fargo denied 27 percent of conventional home purchase applications from African Americans and 9 percent from whites applicants. Santander denied 37 percent of black applicants and 13 percent of white ones. PNC denied 44 percent of black applicants and 15 percent of whites applicants.